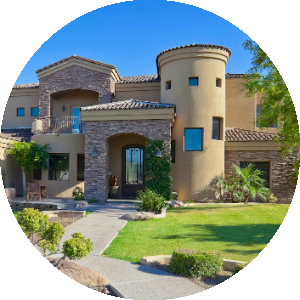 Desert Highlands real estate is located at the base of Arizona's renowned Pinnacle Peak and consists of 560 home sites spread out amongst 850 acres of lush Sonoran desert. Built by developer Lyle Anderson, over 475 custom homes have been completed in Desert Highlands, and another 25 homes are under construction. Homes range in price from the mid $600,000's to over $10,000,000. You'll find jogging and walking trails, and tennis facilities throughout the community, in addition to an award-winning 7,000 square foot fitness center and clubhouse. This award winning, private, gated community contains the famous Jack Nicklaus designed, par 72, 7099 yards. This golf course was home to the first Skins game. Currently a full golf and tennis membership is included with the purchase of property in Desert Highlands. The current membership fee is $75,000. 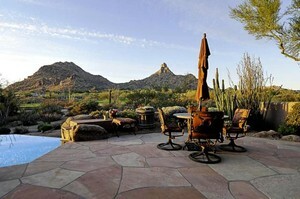 Upon resale of your Desert Highlands home or home site your membership is passed on automatically to the new owner. 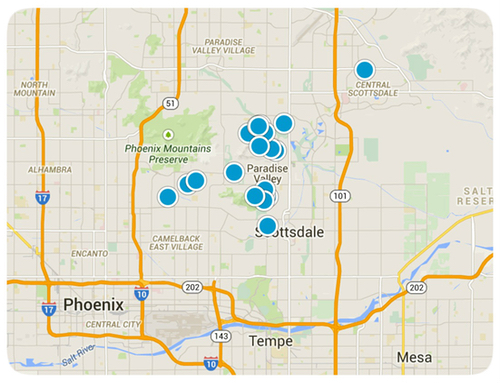 You'll find the very latest homes for sale in Desert Highlands featured below. This information is updated throughout the day so be sure to check back often! 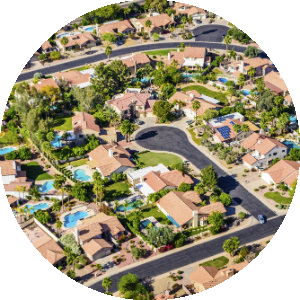 Search the complete inventory of Desert Highlands homes for sale by price, community amenities, square footage and more using our detailed ADVANCED SEARCH option. See something that interests you? Want more information? 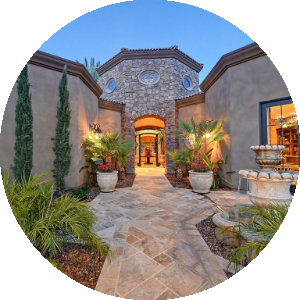 Contact Us anytime to schedule a private showing for any property you find on this site or for more information on the community of Desert Highlands and all Scottsdale real estate.